Tata & Howard has been providing engineering services for final design and construction documents associated with the design of a wastewater treatment facility utilizing membrane bioreactor (MBR) technology for the 50-acre Meadow Walk development at 526-528 Boston Post Road in Sudbury, Massachusetts. The site is a former Raytheon engineering and R&D facility. National Development / Avalon Bay mixed-use residential and retail development, Boston Post Road, Sudbury, MA. Believing the site was well-suited for mixed-use residential and retail development, in 2016 Sudbury selectmen and residents voted to approve zoning and development plans proposed by National Development and Avalon Bay. The site was in development for two years and is nearing completion. 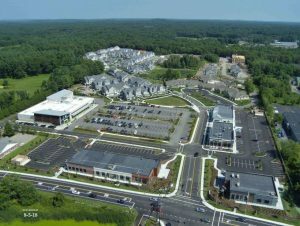 The project consists of several independent components, which collectively comprise a mixed-use development with new open space, retail, and restaurants as well as walkable access to adjacent retail, office, and other services along Boston Post Road. 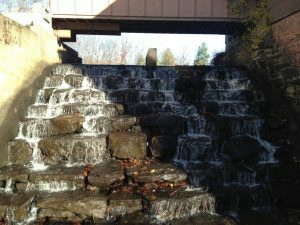 The project also included local roadway improvements, major upgrades to the streetscape and landscaping, wastewater treatment improvements, and improved water quality. Tata & Howard was contacted initially to prepare studies of existing conditions and proposed modifications to enhance and then upgrade the wastewater facility and disposal area on the site. Additional out-of-scope changes included value engineered alternatives and additional design services. The existing wastewater treatment facility was over 25 years old and required increased discharge limits; conversion to an MBR system to achieve higher removal of BOD, TSS, TN, turbidity, and other wastewater constituents; additional treatment redundancy; upgrades to meet current Massachusetts Department of Environmental Protection (MassDEP) guidelines; increased groundwater recharge; odor control; replacement of old infrastructure with a new pump station, gravity lines, and force main; a change to mixed land/water use to result in wastewater generation that could be more efficiently treated at the new wastewater treatment facility; and a new leaching field. Upgrades included infrastructure and a new leaching field. Tata & Howard developed an extensive hydraulic model of the University of Massachusetts (UMass) Amherst campus. The model was verified under steady state and an extended period simulation (EPS) was completed. Tata & Howard conducted a hydraulic review and criticality assessment and used the results to make improvement recommendations. Tata & Howard also identified water distribution system sustainability projects for the irrigation, cooling tower makeup, and toilet flushing water. This project included a supplemental water supply system analysis. 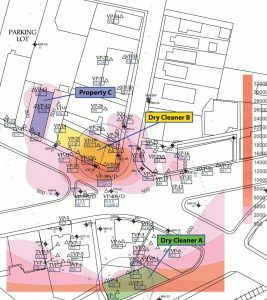 Potential ground and surface water sources on campus, including existing and potentially new stormwater retention ponds, were evaluated for process and irrigation water. In addition, Tata & Howard created a hydraulic model of the UMass reclaimed water system. The study also examined the effects that the proposed system improvements and interconnections would have on water quality. Preparation of an inundation map and flood inundation summary table for the EAP based on the dam failure analysis. The inundation maps include the limits of potential flooding (LoPF), selected cross sections, estimated time to peak stage, and the water depth at selected locations within the LoPF. For dams with no dam failure analysis, Tata & Howard prepared inundation maps for a hypothetical dam failure using hydrologic routing techniques. Preparation of a list of roads and addresses at risk and subject to flooding based on the inundation map. Preparation of dam monitoring procedures including identifying the persons responsible as well as procedures for monitoring the dam during periods of heavy rain and runoff, or when conditions develop that warrant closer monitoring, such as increased or new seepage, cracking, settlement or sabotage. The EAP provides dam specific information to assist the dam owner or operator in determining the appropriate emergency level for the event. Preparation of a formal warning notification procedure to alert the local authority responsible for acting on a warning or determining whether to evacuate residents and businesses within the inundation area after an unusual or emergency event is detected or reported at the dam. Preparation of notification flow charts with emergency contact information of federal, state, and local agencies that are responsible for providing emergency services. The flow charts depict the order and circumstance under which the contacts should be notified. The EAPs also include a list of other emergency services contacts, such as the National Weather Service and local media, as well as the addresses of the local emergency operations center (LEOC) and shelters available to residents during an emergency per CT DEEP requirements. Preparation of a termination procedure for ending monitoring and response activities once the emergency is over. Preparation of criteria to review and update the EAP at least once every two years, or more frequently as necessary to reflect significant changes to the dam structure or downstream area, including verification of contacts in the emergency notification charts. The criteria also include guidance for the dam owner to conduct an exercise or test of the EAP concurrent with the review. Preparation of aerial, location, and watershed maps for the dam. By utilizing a 2014 revision to the regulations, Tata & Howard achieved permanent closure for a commercial developer on a Site in Wilmington, Massachusetts. The contaminants of concern at the Site are chlorinated volatile organic compounds (CVOCs). The CVOCs were detected in June 1994 as part of a due diligence assessment for bank financing, and the sources of the CVOCs are from prior operations at the Site that utilized chlorinated solvents to clean electronic parts. These compounds were released to the environment through improper disposal and leakage from the equipment that was used onsite. Remedial activities were performed at the Site to reduce the concentrations of CVOCs in soil and groundwater, and in August 2000, a Class C Response Action Outcome (RAO) was filed with the Massachusetts Department of Environmental Protection (MassDEP) as a Temporary Solution. The Class C RAO concludes that there was “No Substantial Hazard” to human health, safety, public welfare, or the environment caused by the contamination at the premises. However, the ultimate goal was to achieve a condition of “No Significant Risk” and file a Permanent Solution. Because this was just a Temporary Solution, groundwater monitoring of selected wells continued through 2015 to demonstrate that conditions at the Site continued to support the No Substantial Hazard conclusion. 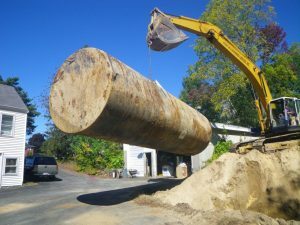 The hurdle to achieving No Significant Risk was overcome in 2014 when MassDEP revised the regulations to allow the use of active vapor intrusion mitigation systems to achieve a Permanent Solution. In May 2015, T&H filed a Release Abatement Measure (RAM) Plan for the installation of a sub-slab depressurization system (SSDS) at the Site. Based on more recent data, six points and radon type fans were installed to develop a negative pressure field beneath the western portion of the building that would mitigate the intrusion of CVOC vapors into the building. T&H also installed a remote telemetry system equipped with an alarm that will notify MassDEP and the owner of the building if the SSDS fails due to loss of power, mechanical issues, or other disruption of the system. The building is primarily comprised of office and commercial warehouse space, and an Activity and Use Limitation was implemented as part of the Permanent Solution to prohibit more sensitive uses in the future, such as daycare or residential. In November 2015, Tata & Howard provided peer review on work that had been completed at a former lumber mill, and all documentation that had been prepared to date was reviewed. The primary concern was an area where pressure treated lumber had been stored, as the lumber was treated with chromated copper arsenate and the residual arsenic concentrations in soil were very high. The previous recommendation was to put a deed restriction (specifically, an Activity and Use Limitation or AUL) on the area to limit the exposure. Because the planned future use for the property is to convert the existing mill building into residential condominiums, this approach was inadequate. In an effort to find a more suitable solution, T&H obtained and analyzed additional soil samples from this area and found that less than 200 cubic yards had been affected. The contaminated soil can be removed for under $30,000 and will bring residual concentrations below that allowed for residential use. Because the mill is located on a brook, a filing with the local Conservation Commission was required. T&H suggested that, due to the limited work being done and the fact that the affected area is separated from the brook by a retaining wall, an Abbreviated Notice of Intent (ANOI) would be sufficient. The Conservation Commission agreed, and the ANOI was approved at a Public Hearing. 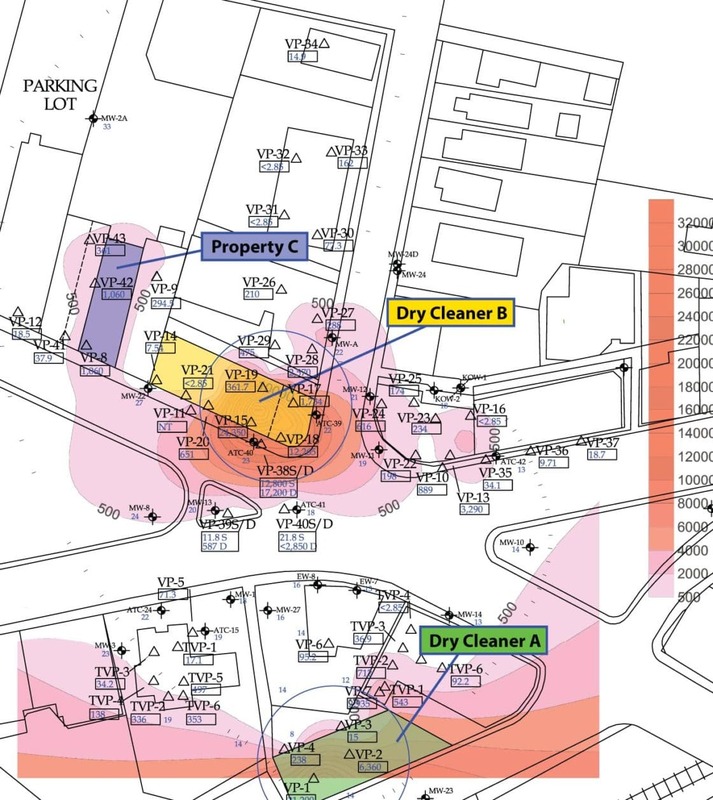 T&H is currently in the process of preparing a Release Abatement Measure (RAM) Plan, which must be submitted to the MassDEP prior to excavation. 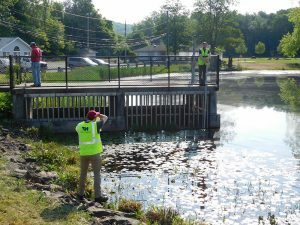 During the first onsite project meeting, T&H noticed a dam located in front of the mill building which the client acknowledged was out of compliance and would likely result in financial penalties. 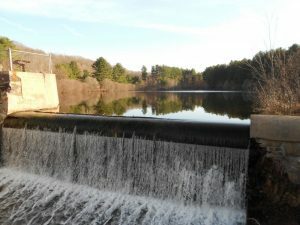 T&H contacted the Department of Conservation and Recreation (DCR) and requested an extension for the completion of the dam inspection, assuring DCR that the inspection would be completed in a timely manner. DCR agreed to waive the penalties, and the inspection report was completed in January 2016. 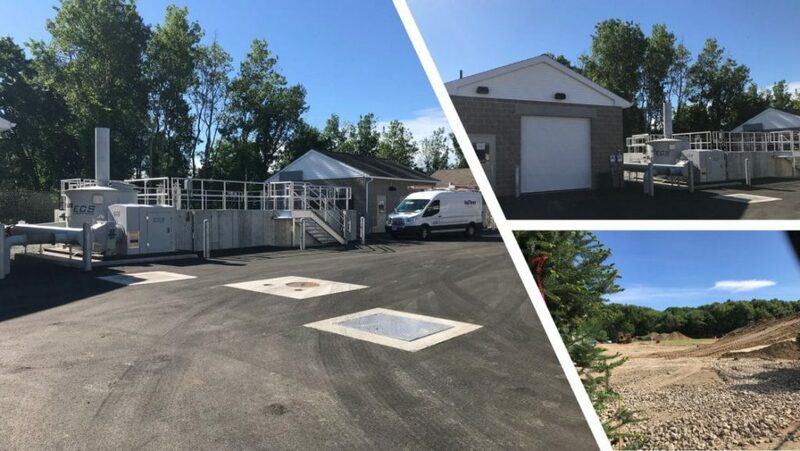 Tata & Howard provided environmental services to a private client relating to the removal of three fuel oil underground storage tanks (USTs) in Massachusetts. The project included observation of excavation activities associated with the removal of the USTs, collection of soil samples in accordance with the Massachusetts Department of Environmental Protection’s (MassDEP’s) UST Closure Assessment Manual, and screening for total organic vapors (TOVs) with a photoionization detector (PID). We then prepared a summary letter, which included a summary of activities performed, and conclusions and recommendations with regard to Massachusetts General Laws c. 21E and the Massachusetts Contingency Plan. 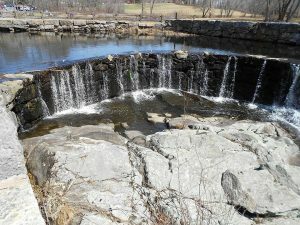 THE CHALLENGE: The Town of Franklin, MA planned to develop a site to be used by the Parks & Recreation Department. However, several potential environmental concerns were identified at the site. Prepared a Subsurface Evaluation Report for the site, which included a summary of activities performed, site figures and data tables, and conclusions and recommendations. T&H then coordinated the removal of the lead contaminated soil, which contained hundreds of battery casings. The soil was treated onsite to stabilize the leachable lead, then transported to the Turnkey Landfill in Rochester, NH for disposal. 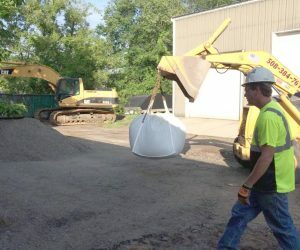 PROGRESS: Since it has been remediated and the Brownfield is now a Greenfield, the Town has purchased the site and begun renovating for future use as an indoor recreation facility. T&H filed a Permanent Solution report with the Massachusetts Department of Environmental Protection (MassDEP) in October 2015. 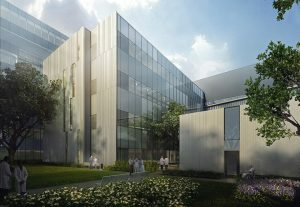 THE CHALLENGE: SLVHCS is the successor to the VA Medical Center, which was decimated by Hurricane Katrina in 2005. 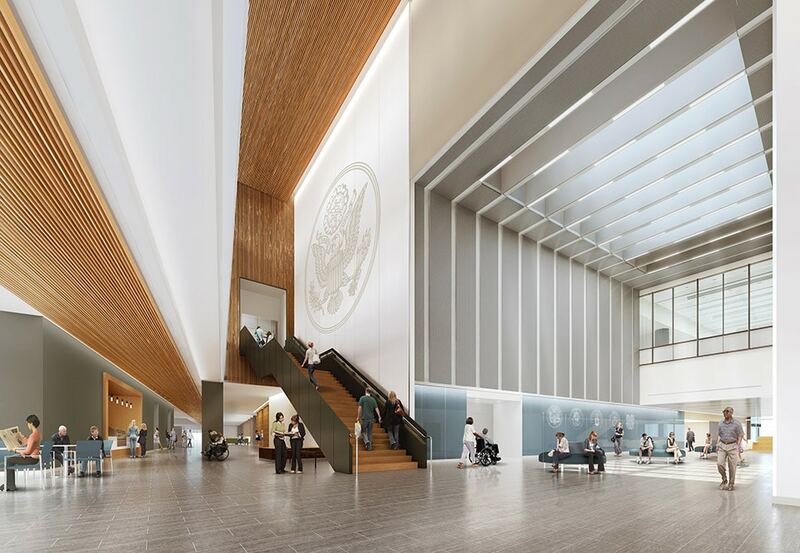 The new hospital requirements included green building practices and resiliency during natural disasters, including the ability to remain operational for at least five days with enough provisions and accommodations for up to 1,000 staff and patients in case of a major disaster. Domestic Water Tank system instrumentation/controls include storage tank level measurement and control of inlet/outlet valves. The system also includes ultraviolet disinfection of all potable water pumped from the storage tank into the hospital. 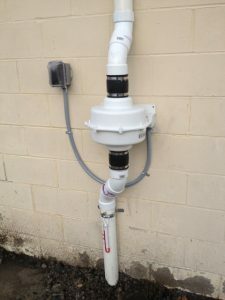 Sewage Holding Tank is waterproof and its control system to provide automated response to an event using electrically actuated valves that direct the sewage from the gravity system to the holding tank. After the event, the system will turn the pumps on and transfer the sewage to the City’s system. A water spray system will automatically wash down the empty tank. Cooling Tower Make-up Water Tank is waterproof and its control system design provides electrically actuated valves to receive rainwater from the building roof drains, condensate from the buildings, and potable water from the City’s water system. The Cooling Tower Make-up system instrumentation/controls include tank level measurement and control of inlet/outlet valves. Cooling Tower Bleedwater Tank is waterproof and its control systems design provides electrically actuated valves to accept water from the cooling towers, recycles water to the cooling towers, and pumps it into the municipal sewer system. The Cooling Tower Bleedwater Tank system instrumentation/controls will include tank level measurement and control of inlet/outlet valves. Fire Protection Water Tank is waterproof and its control system design provides electrically actuated valves to automate control of receipt of water from the CEP/Warehouse roof drains and the City’s water system. The instrumentation and controls for all of the above elements are capable of communicating with the facility ‘s SCADA system. PROGRESS: The new state-of-the-art facility opened on August 1, 2015, and the building is on track to receive LEED silver certification. For comprehensive information on the new hospital, please click here. Close up of completed SSDS mitigation fan and manometer. THE CHALLENGE: At this former wholesale dry cleaner, the client spent over $250,000 installing an asphaltic barrier and new floor over the barrier in an effort to prevent volatile organic compound (VOC) vapors from affecting indoor air quality. This system was recommended by a prior consultant who subsequently found that the barrier did not sufficiently reduce the vapors in the indoor air to make the building safe for reuse. 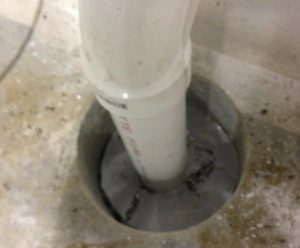 THE SOLUTION: T&H recommended sub slab depressurization systems (SSDSs), which are similar to radon systems, to redirect the vapors from beneath the building to the atmosphere. The cost of four SSDSs was $10,000 and the VOCs in the indoor air were reduced to negligible concentrations. T&H then assisted the client as an expert witness to recover costs from the prior consultant and their installation contractor. PROGRESS: Site closed out and the property has been sold. Tata & Howard has completed a variety of hazardous waste services for a private client in Newton Centre, MA. Work included completion of the Immediate Response Action (IRA) Completion Report and Response Action Outcome (RAO) as well as obtaining indoor air samples and submitting the results to the Department of Environmental Protection (DEP) every two years. Tata & Howard also prepared and submitted Post Class-C RAO Status Reports. This involves documenting the operational status of the sub-slab depressurization systems (SSDSs) and obtaining and analyzing groundwater from three key wells to evaluate whether conditions have changed. The Status Reports are required every six months. In addition, Tata & Howard completed the installation of a telemetry system, preparation of an Activity and Use Limitation (AUL), preparation of a Permanent Solution with Conditions (PSC) report, annual inspection of the sub slab depressurization systems (SSDSs), and the replacement of a monitoring well cover. The work included updating the existing SSDSs in accordance with anticipated revisions to the MCP by adding an alarm system designed by Tata & Howard equipped with remote telemetry able to notify the the consultant, clients, tenants, and MassDEP in the event of a system failure. The work also included a metes and bounds land survey. Tata & Howard also performed work to comply with the revised Massachusetts Contingency Plan (MCP) and developing the data necessary to support a Permanent Solution for the release of chlorinated solvents at the Site. The work included the installation of five additional soil gas monitoring points at the Site and the collection of the data. These points were required to collect additional soil gas data to evaluate whether vapor migration has been controlled. The samples were submitted for laboratory analyses. Also, Tata & Howard collected groundwater samples from seven key monitoring wells using low flow sampling. The groundwater from the wells were measured for pH, temperature, dissolved oxygen (DO), oxidation-reduction potential (ORP), specific conductance, and turbidity. This project is ongoing.